Chef Otto Weibel is known as one of the top leading chefs in Asia. 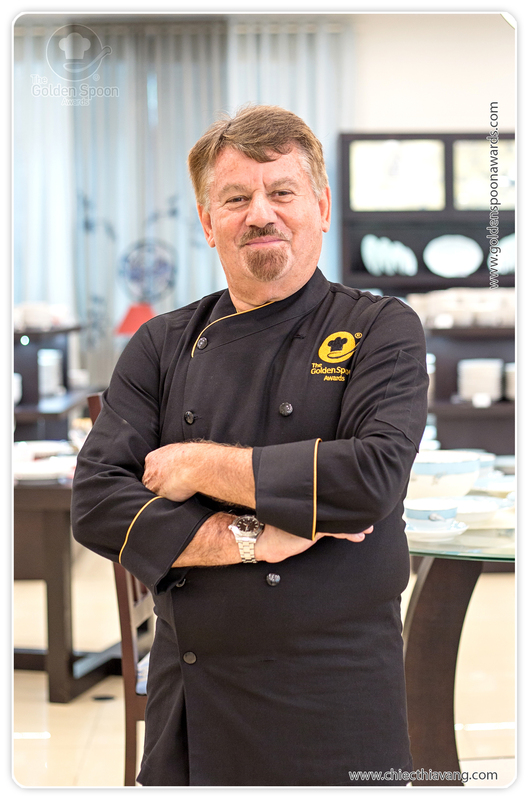 Mr. Otto Weibel is from Switzerland and is chairman of the Singapore Chefs Association for 15 years. In the role of Chairman he has made important contributions into promoting Swiss cuisine at the international level. One of his objectives is to train young chefs in Singaporean cuisine. Chef Otto Weibel - Chairman of Singapore Chefs Association. Chef Otto Weibel is the owner of food consultancy that targets restaurants and hotels. He has traveled extensively in the world and has attended international food contests as a judge. He has also been awarded many accolades, such as from the Singapore Tourism Department, Swiss Best Chef 2001, Lifetime Achievement Award of the World Summit Gourmet and the FTA Award of the hospitality industry. Chef Otto Weibel attended the final round of the 2015 Golden Spoon contest as a professional judge.